Opening its doors on 1st June 2015 after an extensive refurbishment last seen 25 years ago – London’s most iconic restaurant enters a new chapter and The Ivy is now open! 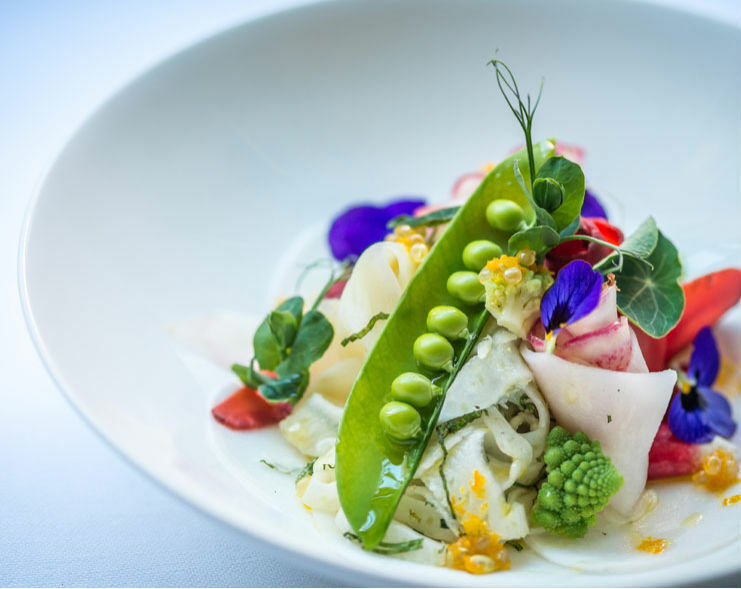 Executive Chef Gary Lee has devised a menu that incorporates many of The Ivy’s classic dishes, but that now sits firmly in keeping with modern trends for lighter fare. New dishes on the menu include Raw & pickled vegetable salad with chia and citrus vinaigrette (£9.75); Corn-fed chicken breast with pumpkin pistou and mojo verde (£19); and Tossed salad of barbecued squid with chorizo, toasted quinoa & preserved lemon (£11.50). Lee’s signature Asian influences will be present in the form of Yellowtail tuna sashimi, pickled ginger, wasabi cucumber pearls (£14); and Togarashi popcorn rock shrimp with kewpie mayonnaise (£11.50). New too is a section dedicated entirely to potatoes. Those who have a fondness for The Ivy’s more traditional stalwarts will not be disappointed, with staples such as Bang Bang chicken, peanuts & chilli (£9); the legendary Shepherd’s pie (£17.75); and The Ivy Hamburger (£14.75) – all still very much a focus of the menu. For desserts, an old-school Knickerbocker Glory (£8.50) shows off a fun side, whilst more serious desserts like Amalfi lemon panna cotta with raspberry granita (£8) or Gooseberry and elderflower pie (£7.50) will adapt with the seasons and transform into modern classics. Group wine buyer Richard Rotti has designed a wine list that combines old world favourites, alongside new world contemporaries, whilst Head Barman Darren Ball’s new cocktail list celebrates the history of the restaurant, incorporating iconic drinks from ‘The roaring twenties’ such as the Bee’s Knees (£10.50; Camomile-infused Beefeater gin, honey, apricot and lemon juice); and kitsch classics, like Pina Coladas and Strawberry Daiquiris. 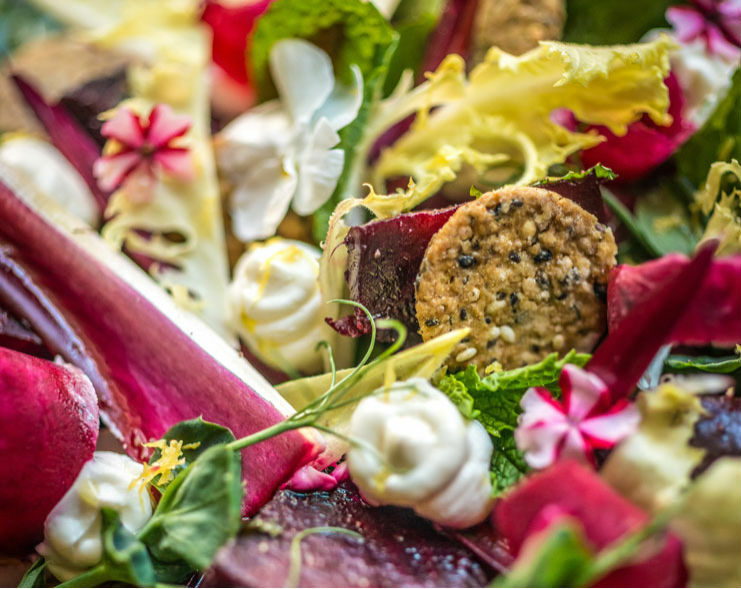 Adored by many, with a special place in the hearts and minds of actors and the arts world in all its guises, the re-opening of The Ivy will herald a new era in the restaurant’s long and colourful history. The Ivy re-opens 1st June 2015. Reservation lines are open now. Telephone +44 (0) 207 836 4751 or visit http://www.the-ivy.co.uk. The Oscar Wilde Bar, formerly the iconic Grill Room at Café Royal, has been exquisitely restored to its authentic Louis XVI detailing. Originally established in 1865, it is now the place to enjoy Champagne, sparkling wine and a light menu in the evening – here we’d encourage you to have a tipple of the Billecart-Salmon Rosé, our favourite! On Tuesday to Saturday evenings, the Oscar Wilde Bar is open from 6.30pm and has a regular programme of live entertainment on select evenings including the flagship cabaret show. 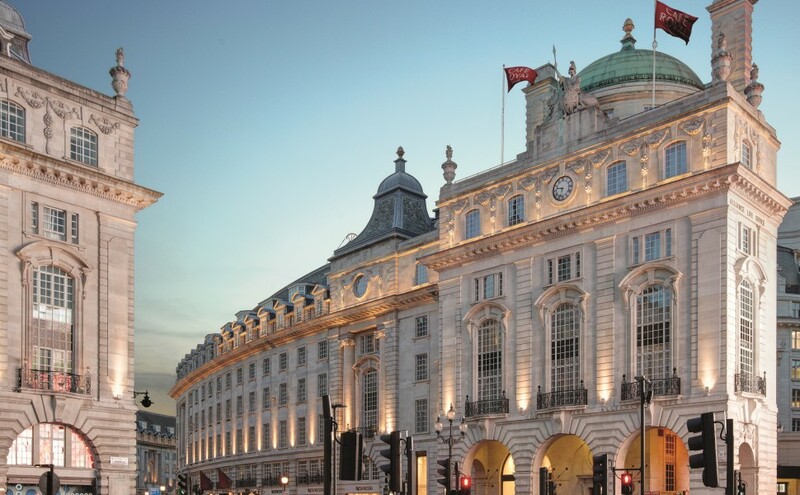 For more information visit http://www.hotelcaferoyal.com. 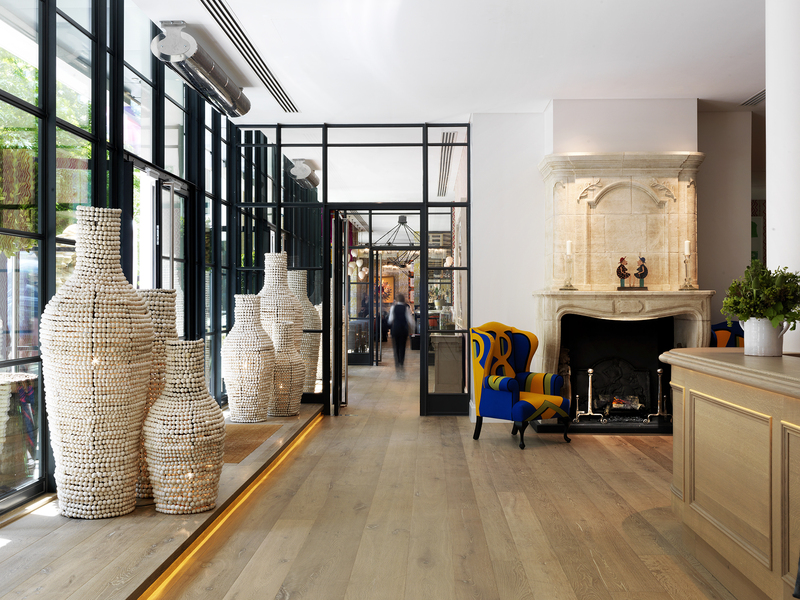 Set on a three-quarter acre site in the heart of bustling Soho, not far from Mayfair, the hotel revolves around a unique tree filled pedestrian thoroughfare connecting Great Windmill Street to Denman Street, opening up historic Ham Yard and Denman Place to the public for the first time since the 1960s. 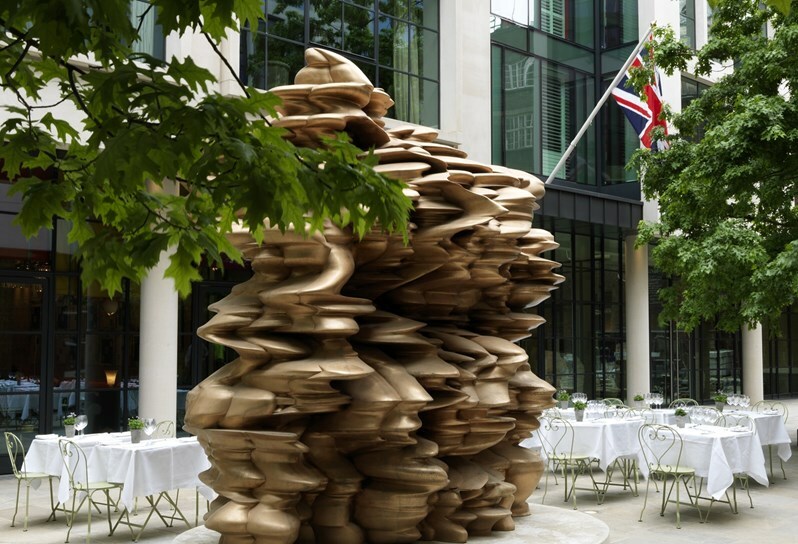 Its centrepiece is a specially commissioned large scale bronze sculpture by Tony Cragg. 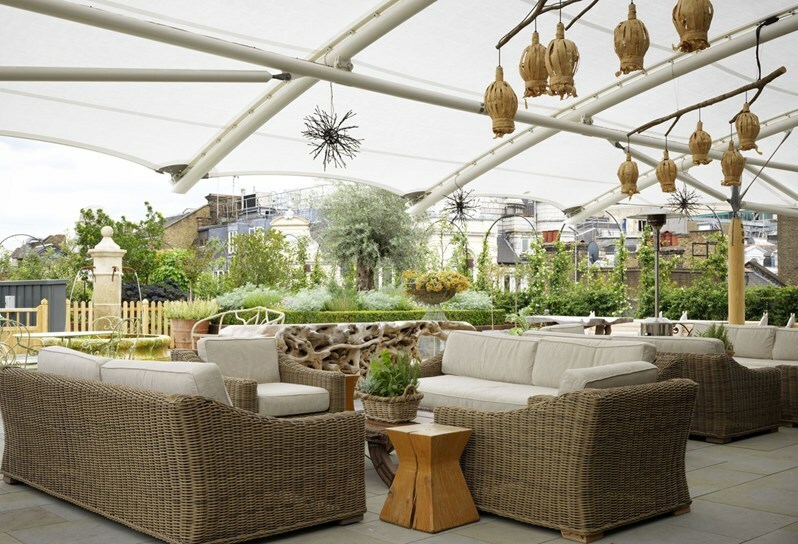 Tim and Kit Kemp, owners of Firmdale Hotels, have designed Ham Yard Hotel with a distinctly urban village feel. 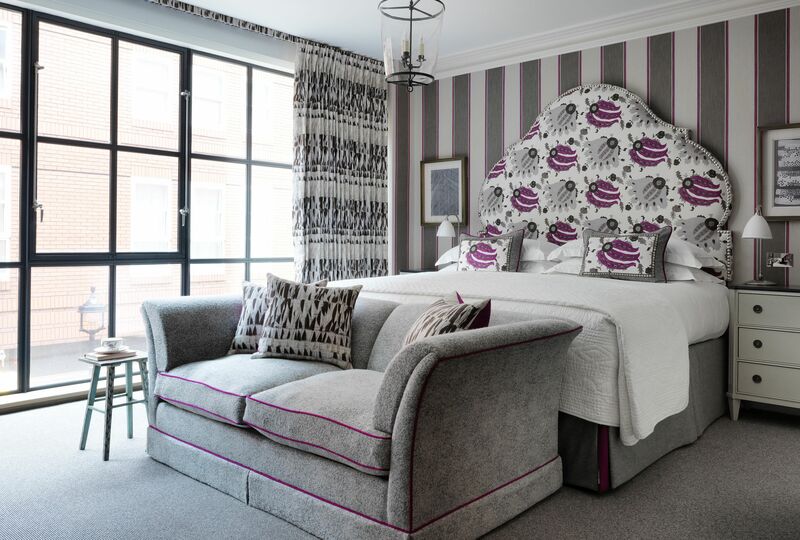 Alongside the hotel’s 91 individually designed bedrooms and suites there are 24 residential apartments, a collection of 13 individual specialist stores and an airy restaurant and bar with outdoor dining and drinking. Interiors are beautifully designed by Kit Kemp in her award-winning luxurious, modern British style for which her innovative, exciting mix of colour, pattern, texture and art is world renowned. As well as a sumptuous drawing room, library and orangery, the hotel plays host to Firmdale’s first Soholistic Spa with a fully equipped gym, including a hypoxic chamber for altitude training. There is a 190 seat, state-of-the art theatre, several spacious private dining and event rooms and an original 1950s bowling alley imported from Texas, complete with bar, lounge and dance floor. To top it off, there is a leafy rooftop garden and terrace with sweeping views out across the skyline…We couldn’t be more excited to experience something more quintessentially London this summer!